The SignUp Hub: What's Hot With After School Programming? What's Hot with After School Programs? Ranging in age from 8 to 18, Young Makers Clubs do just that…they make things! Find a club in your area or start one in your school. This club serves those who may be just starting on their making adventures, or they might already be well versed in sewing, paper craft, and woodworking. They may have never touched electronics or might be in the midst of programming their own robot and computing platform. 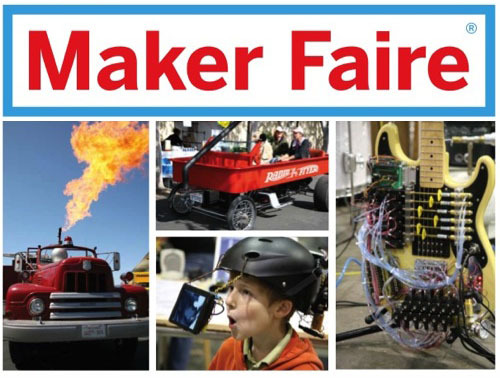 Young Makers have the opportunity to make their own project, individually or with a team, to exhibit at your school or local library or even a Maker Faire, becoming part of are a community of makers and learners who inspire each other with their interests, curiosities, and abilities. Learn more about the Maker Movement and Maker Faires at www.makermovement.com .